A PROSPEROUS AND BETTER FUTURE FOR YOUR COMPANY! The use of information and communication technologies nowadays drives virtually all business processes. The broad portfolio of Raiffeisen Informatik successfully meets these growing demands. Our services range from high-availability IT-operations, security services, consultation and license management to total support at the workstation. 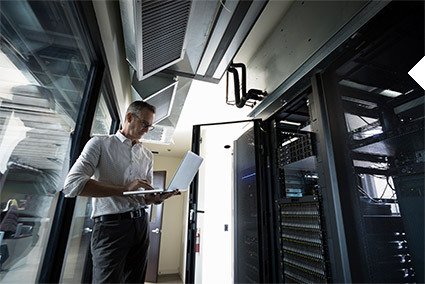 The advanced management of IT-projects enables Raiffeisen Informatik to focus on the core business and as a result is the rock on which it has built its success. Data Center ServicesOnly the very best security for your data! Availability, security and performance are our top priorities. Given the increasing complexity of IT-applications and the rapidly growing amount of information, a price rise is expected for most enterprises. By the same token, keeping all tasks up to date will be an even more difficult task in the near future. Optimising cost structures, efficiency and flexibility within the company in order to meet these challenges is of paramount interest to Raiffeisen Informatik. Against this background, the outsourcing of business processes to an experienced IT-provider – such as Raiffeisen Informatik- is obvious. With us, you can rest assured that you will always receive IT-services at the highest levels of security, performance and availability, enabling you to concentrate on your core processes in the utmost tranquility. Security ServicesYour Security is our Top Priority! Innovative technology is the basis of our IT-services. Modern automatization and virtualization, together with state-of-the-art hardware and software, all contribute to the process. We can therefore assure you of maximum security for your crucial business data. The TÜV-certificate ‘Trusted Site Infrastructure’, which we received as the first Austrian IT-provider, demonstrates our high security and quality standards. We accompany you through your individual digitalization process. Raiffeisen Informatik has many years of experience in IT-Consulting behind it, which means we can serve companies both large and small. Our employees supply the necessary know-how to accompany you through all project phases – from developing efficient strategies to implementing and adapting our customized IT-systems and processes right up to constant optimization and user training. Our expert management of IT-services allows you to focus on your core business. The future success and growth of your company value is our primary concern. Being an IT-provider of banks and insurances means to digitally administrate crucial cash flow. Being able to access online banking everywhere and at anytime is understood as common practice nowadays. For decades Raiffeisen Informatik has been responsible for transactions of the largest cash flows in Austria. Our broad industrial knowledge and highly effective services ensure that our customers receive only the very best service and security whenever they wish. From lending business or receivables management through securities settlement, to data management or digitalized accounting, we develop and operate innovative solutions that will significantly increase our clients’ flexibility as well as the company’s added value. Today we are permanently interconnected with each other. The constant exchange of electronic data is at the basis of every business activity. Therefore, a reliable connection is becoming increasingly important, one which we can provide you with in the field of ‘network’. Our network, Raivan (raiffeisen value added network), emerged from the nationwide linkage of all Raiffeisen banks. 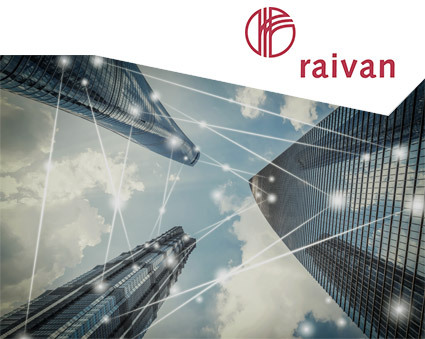 Today, Raivan supplies more than 50 leading companies and their locations throughout Austria with around 1,500 highly secure network nodes. 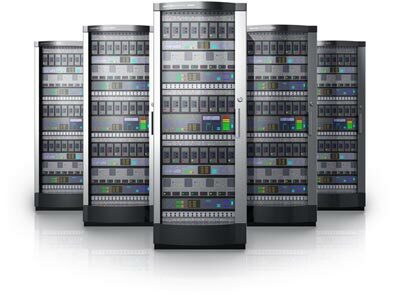 Raivan customers benefit from maximum security, great flexibility and absolute reliability around the clock. Our target group is every company which has a high demand for modern and flexible network solutions. Our ongoing state-of-the-art technology enables our extremely reliable network to effect constantly smooth data exchange between communication partners.